A working group has been formed to concretize the recommendations which came out of Wednesday’s National Strategic Consultation on the Social Response to Crime in Barbados. The group, which will be chaired by Minister of People Empowerment and Elder Affairs, Cynthia Forde, is expected to complete its work within a month after which the recommendations will be submitted to Cabinet. The Ministry of People Empowerment and Elder Affairs has been mandated by Prime Minister Mia Amor Mottley to develop a social response to crime. The consultation brought together representatives of the public and private sectors, the faith-based community and civil society to examine the key social causes of crime and violence in Barbados and to develop an integrated social response. 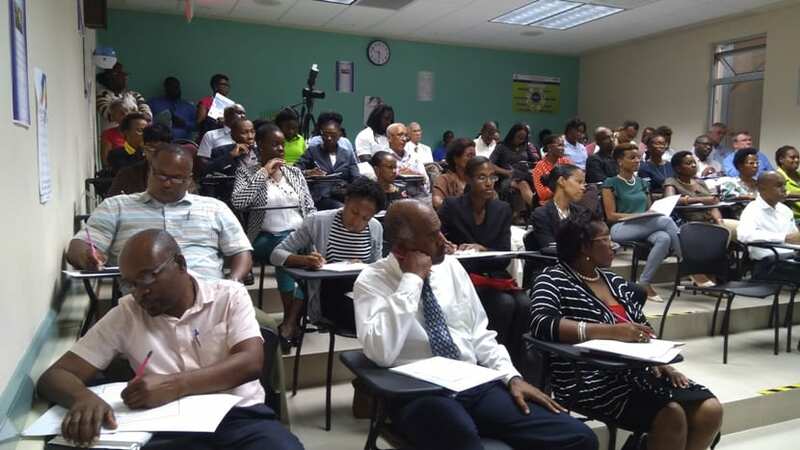 They listened to a number of presentations on the current status of crime in Barbados, an analysis of the crime situation, crime and violence as a threat to public health and social perspectives to crime in Barbados. After the presentations, break-out groups got down to the task of formulating recommendations which will form the basis of the Social Response Plan of Action. At the end of the session, each group presented its recommendations under the headings, Family, Community, Poverty Reduction, Education and Social Values. These recommendations will now be honed by the working group. Minister Forde, in her closing remarks, thanked everyone for their participation and input, and gave a commitment that the initiative would not be another “talk shop”. “No matter how much money we throw behind these projects and we don’t have the right policies and the right people, we will be wasting money and spinning tot in mud. “We will work together to come up with solutions. We need to get into the communities and work with the community groups, the parents and grandparents. This must be a collaborative effort and an integrated response,” she said.